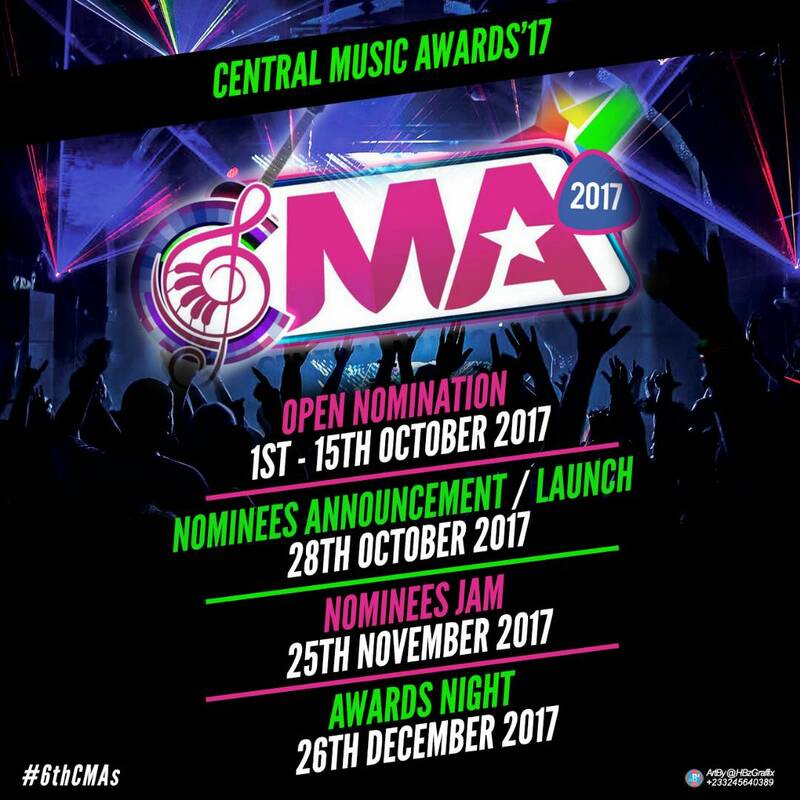 Candymania Entertainment, organisers of the Central Music Awards (CMA) invites nominations for the 6th edition of the Award scheme which officially opens on Sunday, 1st October, 2017. Completed hand-filled forms with copies of commercial recordings (CDs and Videos) should be submitted to the aforementioned offices or website, not later than 15th October, 2017 at 11pm prompt, when all nomination close. Works that will be submitted must have been released between 1st October, 2016 and 1st October, 2017. This year’s Awards will witness additional categories such as Gospel Artiste of the year, Hip Life song of the year, Hip hop song of the year, Dancehall and Reggae songs of the year.